When she was in her mid-30s, Jennifer Teege suffered the mother of all identity crises. The daughter of an unmarried German mother and African father, she had been placed in an orphanage as an infant. At 3, she went to live with foster parents who adopted her at age 7. Questioning why her birth mother rejected her and where she belonged in the world as a biracial woman, Teege had already been treated for depression. And then, in the summer of 2008, when she was 38, she picked a book off a Hamburg library shelf and on the cover saw a picture of her birth mother, whom she had been in contact with until her adoption was finalized. The book’s title, I Have to Love My Father, Don’t I?, intrigued her. Flipping through the pages, she uncovered a horrifying family secret: Her grandfather, the father of her birth mother, was Amon Goeth, the commandant of the Plaszow concentration camp in Poland. 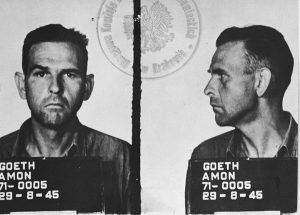 Goeth, portrayed by actor Ralph Fiennes in the film Schindler’s List, was a pathological sadist who liked to shoot random prisoners from his balcony for sport. Known as the “butcher of Plaszow,” he was executed for crimes against humanity in 1946. Finding the book cleaved Teege’s life in two. Before, she was a happily married middle-class German mother of two sons, working in the advertising business. Afterward, she had to come to grips with knowing she was descended from a man responsible for the deaths of 800,000 Jews during the Holocaust. 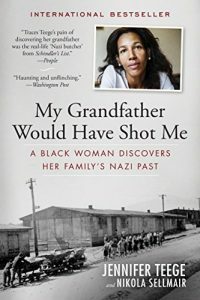 Teege details her story in her book, My Grandfather Would Have Shot Me: A Black Woman Discovers Her Family’s Nazi Past (The Experiment LLC, 2015). 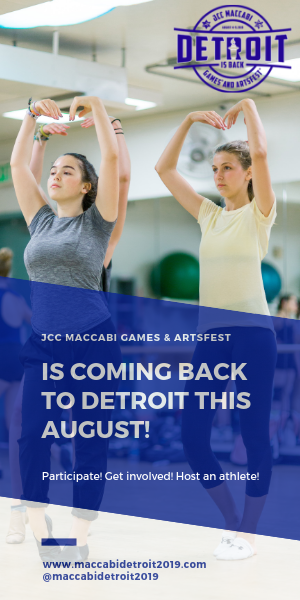 She will share some of her feelings and experiences at Jewish Family Service’s Annual Event at 7 p.m. Tuesday, June 6, at Congregation Shaarey Zedek in Southfield. In reading her mother’s book, Teege learned her maternal grandmother, Ruth Irene Kalder, with whom she’d had a loving relationship before she was adopted, was Goeth’s longtime mistress. They were introduced by Oskar Schindler, the industrialist who saved hundreds of Jews by giving them work in his factories. Before she was adopted, Teege enjoyed a warm relationship with Ruth Irene, who adopted Goeth’s last name after his death and never acknowledged his responsibility for the mass murders at Plaszow. Reading about Ruth Irene, Teege said she asked herself whether she would have been able to love such a man the way her grandmother did. Ruth Irene did not have a close relationship with her daughter, Monika, Jennifer’s mother. Ruth Irene died in 1983, long before Teege found the book. As an adult, Teege had a few meetings with Monika, but the relationship was strained and they haven’t met for many years. Teege also had several cordial meetings with her birth father, a Nigerian man who lives in Germany. At first, Teege hid her secret from her parents, brother and closest friends, two of whom are Israeli. After learning about her grandfather, she broke off contact with her Israeli friends for more than two years. When she finally told them, they cried with her. It was another quirk of fate that Teege has close ties with Israel, where she spent five years learning Hebrew and then earning her undergraduate degree in Middle Eastern and African studies at Tel Aviv University. After high school, Teege studied art in Paris and became friendly with an Israeli woman, Noa Berman-Herzberg, now a screenwriter. Several years later, she went to Israel for vacation, overslept and missed her plane back to Germany. She ended up staying. Noa and her roommate, Anat Ben Moshe, now a nurse, became her closest friends. Teege has also shared her history with her sons, now teenagers, so they wouldn’t have to experience the shock of discovery as she did. Three years later, she returned to Krakow with her Israeli friend Anat, Anat’s son and his Israeli high-school class. She told the class what it was like to be the granddaughter of a Nazi commandant. The students were spellbound — and also concerned about Teege’s emotional well-being. Together, they laid flowers at the memorial for the victims and sang Hatikvah. Teege now spends much of her time traveling to speaking engagements. She says many of her listeners can relate to her themes of identity, history and family secrets. She adds it’s important to share her story because of something she read years ago about Bettina Goering, another descendant of a Nazi perpetrator. Goering and her brother had themselves sterilized so as not to produce any more people like their grandfather. 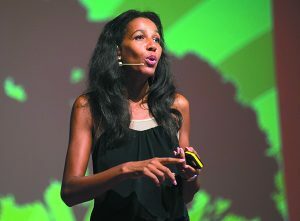 Jennifer Teege will speak at 7 p.m. Tuesday, June 6, at Congregation Shaarey Zedek in Southfield. $18 ($5 for students). 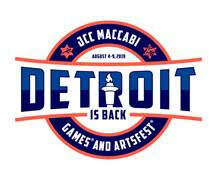 Purchase tickets at jfsannualevent.org or at the door.